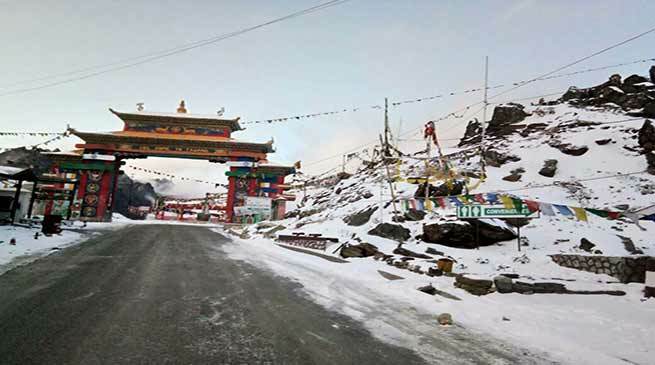 Tawang and Sela Pass in Arunachal Pradesh have witnessed first snowfall in this winter with temperatures dipping to subzero level, informed by so many our readers and face book friends from this region of State. Sikang Norbu , a well-wisher of Arunachal24 , have clicked beautiful photographs and Videos of Snowfall in Sela pass with his Mobile phone. Norbu and his friend were passing through sela paas during snowfall. Tawang town and hills are now fall on Tuesday. ← Lorry blocking the free flow of traffic or Gate blocking the traffic flow ?